Which Alexander McCall Smith Series? – The Bookshelf of Emily J.
I recently tried to read Corduroy Mansions, the first book in a series by Alexander McCall Smith. As you may recall, I love Smith’s work. But after starting, and then stopping, this book, I realized something. I love the series featuring Isabel Dalhousie. And I love Precious Ramotswe of The No. 1 Ladies Detective Agency. I also read and enjoyed The Portuguese Irregular Verb Series, which features two professors determined to outwit one another. But I did not like Corduroy Mansions, nor could I get into the 44 Scotland Street books. I prefer two of Smith’s series. I think that perhaps my favoring of the Isabel Dalhousie and Precious Ramotswe series has to do with the strong female characters. The women lead these books, and they are smart, outspoken, strong, and interesting. That type of character certainly appeals to me. What are your favorite Alexander McCall Smith books? Lucky You ! for meeting him ! That’s like winning the lottery ! The Corduroy Series, the first book was the best, then not sure what happened. The Prof. von Igelfeld series is also really funny. and not a fast read, one stops to think along the way. which you can just swear are real. They do feel real, and yes, there is always a rut after reading his novels. Tell me more about 44 Scotland Street. I just could not get into them. Are they worth me trying again? The Scotland Street Series…there is one character, Bertie, that just makes the books. You just want to reach into the book and shake his mother. really find out who the true paternal parent of Ulysses is. ever be able to see the appeal ( gravy, mashed potatoes..yuck ) – so even if I rave about 44 Scotland Street, and point out features it may not be something that for whatever reason is your taste. yet people shockingly like it. No one can make you like a book, make you read it yes. goes out in the UK to be available here. If your’e just not digging a book, you are just not digging it. Well said. I like this philosophy on books! How cool that you met him too! Yes, I met him at an event in Ogden, UT. He was invited to an annual author event that the school district there puts on. I share your love for the Isabel Dalhousie and the #1 Ladies Detective Series. Both my wife and I devoured these books when we first discovered them. I like the independence of Precious Ramotswe, as well as her musings about the values of Botswana. Since we live in South Africa, I was interested in seeing how a Scotsman would describe Botswana and its values, and I think he has done it quite well. The way he describes the African way of thinking shows that he lived in Botswana for many years and got to know the people. I find it quite surprising that McCall Smith could create another female protagonist of a quite different character for the Isabel Dalhousie series. While Precious Ramotswe’s thinking is not focused on herself but on her country and the people around her, Isabel Dalhousie is a different type of thinker: an analytical thinker steeped in philosophy. I kept looking for the next book in the series at the library after I finished one. Your post has reminded me to go find the latest books in those series and continue reading. Thanks! Keep writing about your reading, it is interesting! Thanks! I like your distinction between Isabel and Precious. The No. 1 Ladies Detective Agency books really are about Botswana, which I know the author loves. That comes through for sure in his writing of that series. Emily, I also really like the No. 1 Ladies Detective Agency and the Isabel Dalhousie books; and I could not at all get into the Corduroy Mansions series. I DO like the 44 Scotland Street series, and I love that it’s an experiment in writing in serial format. I couldn’t glom onto the Portuguese Irregular Verb Society, either–I think it was the dachshund operation that turned that off for me! How cool that you were able to meet him. I think his range of books must speak to a far-ranging kind of mind–he must be a fascinating person to talk with. Happy New Year, Pam! I didn’t realize that the 44 Scotland Street books were originally a serial. Maybe retrying them with that in mind would help. Thanks for the comment! The series is kind of open-ended and random because of its serial nature, and I had to get past that. Of all of McCall Smith’s stuff, it has the most fantastic quality about it…like snacks for the mind! I only read The No. 1 Ladies Detective Agency and found it too sweet for my taste, so I haven’t tried his others. What’s so different about Corduroy Mansions? I didn’t get far enough in to really say anything intelligent about Corduroy Mansions. I just didn’t connect with the characters. Yeah, I’ve had that happen. I also love the same series as you. And I do read the Scotland Street books but mostly because of Bertie. You would LOVE Bertie! He is the little boy who loves downstairs from Domenica and plays the saxophone. He hardly figures in the first book, but he becomes more and more of a principal character as the series goes on. Because the chapters tend to focus on different characters, you can pretty easily skim or skip the ones on people you don’t care about. Try checking a couple of these out from the library and search out the Bertie chapters. Of course, I could be projecting my own reading tastes into yours, but I really do think you’d love Bertie. mother (Irene) and father (Stuart). Interesting! Bertie does sound like somebody I would relate to. Poor boy! We mothers sure can be hard on our children when we want to raise them in a way that reflects on us, rather than allowing them to be themselves. It can be so hard! I enjoyed the 44 Scotland Street series, but that was mainly due to Bertie. He’s such a great character! The Isabel Dalhousie series is fun too, and I read a few of the No. 1 Ladies Detective Agency. But I haven’t read any of McCall Smith’s books for a long time. I’m sure he’s written lots more since then — he’s quite a prolific writer! He has written so much! I can’t keep track of whether or not I’ve read all of the books in the series that I like just by looking at the list. I have to check Goodreads! I enjoyed the Isabel Dalhousie series, but I’ve also read a few of the No 1 Ladies Detective Agency and enjoyed them too. They are good ones! Glad you enjoyed them. I’m so glad to hear you have enjoyed them. The philosophical musings are what I like about all of his books, especially the Isabel Dalhousie series. You are seriously making me reconsider my stance on 44 Scotland Street! Hi Emily. Loved your post. 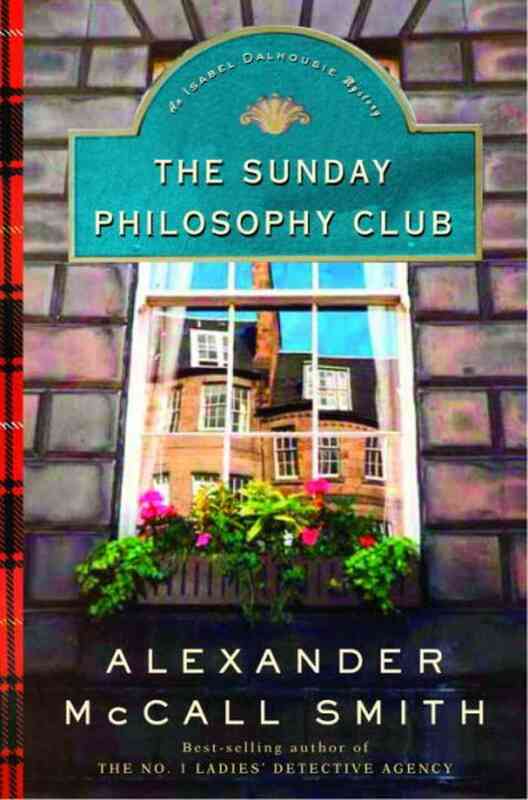 I am a huge fan of Alexander McCall Smith. I was born and lived in Zambia for many years, so his detective agency books were a delight to me. I have read them all. The other series I read is the Scotland Street Series. Bertie just totally cracks me up. I would say however I find it hard enough keeping up with two series. I adored the Isabel Dalhousie series too, but just found I couldn’t keep up with three series. I still have the latest one sitting on my shelf. I think you will have your hands full with two series, and I think that is just a question of personal taste which ones you read! Delighted to know you like him too though, as I didn’t get much response when I wrote blog posts about his books…perhaps I will try again! Happy Reading. How neat that you lived in Zambia! My step sister lived in Botswana for a year, so I ended up buying the No. 1 Ladies Detective series for her. She loved them as well. And good point: there are so many series and they are hard to keep up with so two is plenty. I also have an embarrassing story about meeting Mr McCall Smith! He attended an event at the Irish Literary Festival in Dublin, which I attended. After the event he was signing books. I waited in line and when it came to my turn he put his hand out for a handshake. I was thinking, ‘that’s odd, I didn’t see him shake anyone else’s hand. Then I heard a voice over my shoulder. One of the organizers/even people had come in and it was her hand he had gone to shake. Totally mortified! He was so generous though and never let on for a second!! We then had a brief chat about Mma Makutsi’s shoes, before I dashed off with flaming red face! I’ve only ever read the first book in the No. 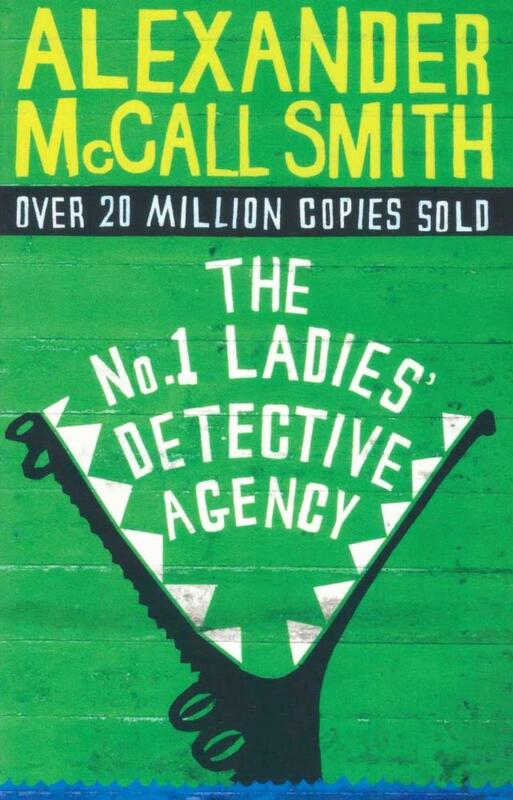 1 Ladies’ Detective Agency, because someone lent it to me. I remember liking it, though. Both the setting and the protagonist still stand out in my memory, even though it’s been about 10 years since I read it. That’s says something, doesn’t it? How wonderful that you got to meet him? I have not read many Mc Cull books. I liked the Ramotswe books that I have read. I think those are his best books! I am so so jealous that you met this man! He is soooo smart and I adore his writing! I LOVE the No. 1 Ladies’ Detective Agency series, and the Isabel Dalhousie series is my second favorite! I just read the first in the 44 Scotland Street series and was I think a bit prepared since I knew this series was published in weekly newspaper installments: one chapter per article, so it reads a bit differently, though much more cohesive than The Green Mile did! I like 44 Scotland Street, though I admit it took at least 100 pages before I really connected with some of the characters. I really like the Corduroy Mansion series, though one of my good friends and fellow book club members loves the Detective Agency series and doesn’t like any of his others! So you just never know! I have read the Portuguese Irregular Verb series but it was way too dry for my liking. I ranked it as so-so. I have read oneof his stand-alones as well and really enjoyed: La’s Orchestra Saves the World. I own 2-3 more of those and feel I will enjoy them as well. Plus he has a couple of children’s series that I would love to read. He is one prolific writer and has done/does so many other things as well! Yes, he does write well and prolifically. It sounds like you have enjoyed most of his work. I may have to give some of his other series a second try. Thanks for the encouragement!